The Equipment profiles are used to store your personal equipment settings for building recipes. 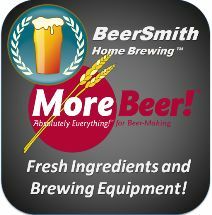 It is very important that you create your own personal equipment profile to use with BeerSmith. If you prefer, you can also watch this video on setting up an equipment profile. Important Note! 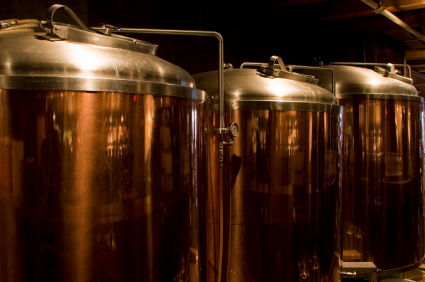 : Please take a few minutes to create your own equipment profile for your brewing setup. As the equipment profile is used throughout the recipe calculations, an accurate equipment profile is important particularly if you want accurate water calculations when brewing. Brewhouse Efficiency – If you are an all-grain or partial mash brewer, this should be set to the overall gross efficiency for your system from grain to fermenter including losses. For most brewing systems this is in the range of 68%-76%. Hop Utilization Factor – Should always be set to 100% unless you are working with a very large system (more than 20 gallons) in which case your utilization might be higher. Large commercial systems typically have numbers of 110%-150% depending on the system. Mash Tun Volume – The volume of your mash tun (for BIAB brewers, you should set this to the volume of your boil vessel). Mash Tun Specific Heat – The specific heat of your mash tun – generally this is a number between 0.10 and 0.50 with lower numbers associated with all metal mash tuns such as stainless steel and higher numbers representing plastic thermal coolers. Lauter Tun Deadspace – Represents the deadspace in the lauter tun that is lost – how much wort will likely be lost to the lauter tun screen and piping and can’t be recovered during sparging. Mash Tun Addition – This number represents deadspace in the lauter tun that is recoverable during sparging. It is “extra” water added to the mash tun to compensate for this deadspace, but this water volume is recovered later during sparging. Calculate Boil Volume Automatically – When checked this will determine the boil volume based on the Batch volume into the fermenter minus losses and evaporation. Generally it should be checked. New Feature: BeerSmith now has the brewhouse efficiency as part of the equipment profile making it easier to scale and match recipes based on recipe profiles. BeerSmith also now separates the “batch or into fermenter” volume (before fermentation) from the bottling volume (after fermentation).